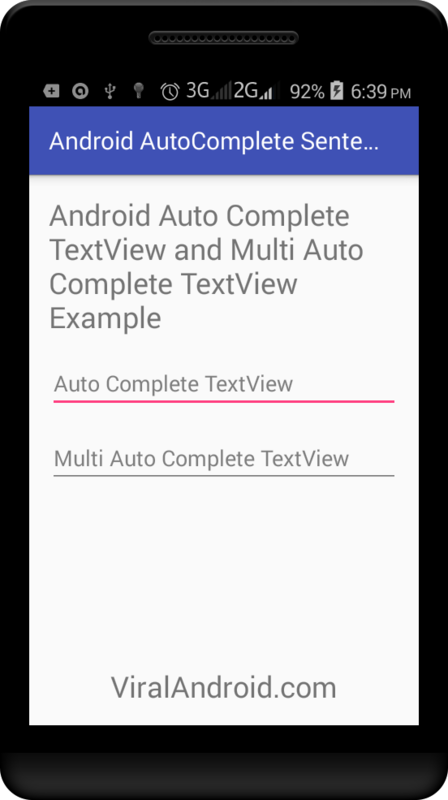 In this tutorial, I am going to show how to develop auto complete suggestion in android using AutoCompleteTextView and MultiAutoCompleteTextView without typing all characters of word. AutoCompleteTextView suggests a word to the user and MultiAutoCompleteTextView suggests multiple words. These both auto complete textview completes the words which are stored in the program. In the XML layout file, I have placed a AutoCompleteTextView and a MultiAutoCompleteTextView to develop auto complete sentence application. 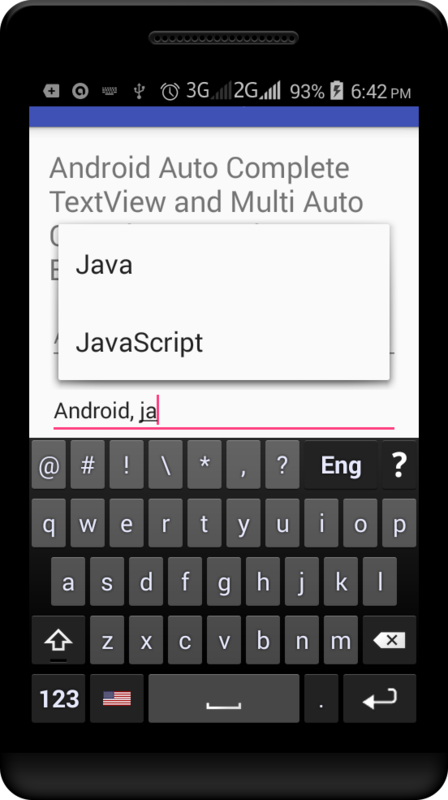 Now, run your Auto Complete android application and type the words which are stored in java file.